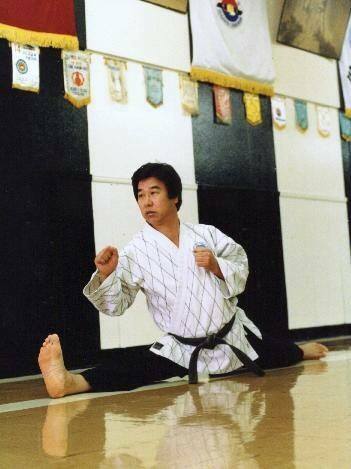 Founded by 8th degree Grandmaster Hwa Song Choe, the college has served the Dallas Metroplex for more than 23 years at the same Irving Location. 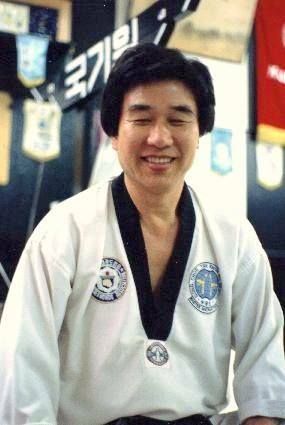 While in Korea, Grandmaster Choe was chief instructor of the U.S. Army 7th Infantry Division, and taught agents of the Korean Secret Service, as well as members of the Korean Police Academy. He served as Headmaster of Song Choe College for twenty years. 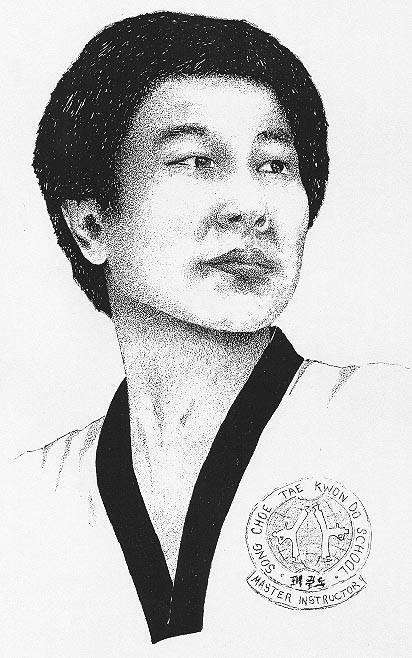 Grandmaster Song Choe art by his student Clifford Bird. 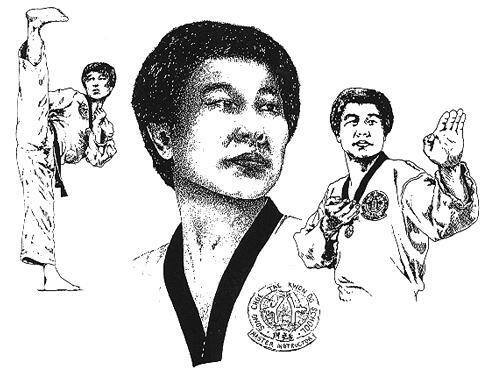 Grandmaster Hwa Song Choe began his Tae Kwon Do martial art training as a young boy in Korea. He dedicated himself to the physical techniques and underlying principles of the art (Courtesy, Integrity, Perseverance, Self-Control, and Indomitable Spirit). He accepted the role of leader, instructor, teacher, and counselor. 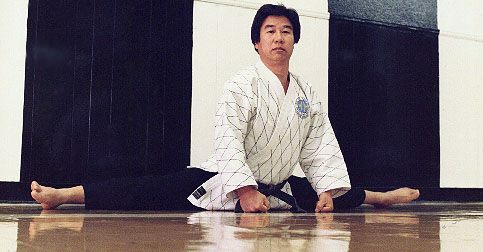 In the true spirit of traditional Tae Kwon Do, he firmly believed that his responsibility toward his students was the same as that of a parent to a child. In turn, he looked upon his students as his children. He sought to instill within each of them the desire to be the best person they could be, not so much on the physical level, but inside their hearts where true character lies. He taught them to develop patience, with themselves and others. He trained them not to fight, but so they would not have to fight. He taught that nothing was impossible to a willing mind. His philosophy was that violence was to be avoided at all costs, and that it was preferable to use the intellect rather than physical force. 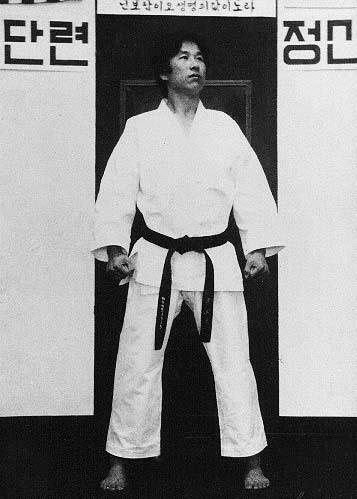 If placed in a position where there was no other choice, then their Tae Kwon Do was to be employed in self-defense only. He taught his students to develop humility, and to suppress the ego. He stressed the necessity of self-discipline, setting a good example, and having order in their individual lives. He extolled the importance of education, of the family structure, respect for the elderly, respect for the law, and duty to God, one’s parents, and country. He spoke out against drug and alcohol abuse, crime, selfishness and self-indulgence. He taught that individuals were both responsible and accountable for their words and deeds, and that good moral character was more important than wealth, beauty, or fame. He was a model father, citizen, and a Christian, and he felt that as creatures of God it was our duty to honor His name and obey His commandments. He constantly expressed the virtues of Truth; of being true to ourselves, and in our relationships with others. Perhaps, as students, we can best honor his memory by being the kind of individuals that he taught us to be.